Combat is hell. We all know that. But some combat situations are made even worse because of the weather. I have seen four movies and episodes of series in which the depicted weather conditions made me think: “How utterly awful this must have been”. The terrible weather conditions are a great means for film directors to enhance how horrible combat is and how utterly futile some battles when facing not only a strong(er) opponent but the force of nature. The first movie is Stalingrad. To watch those troops in the icy cold snow of the Eastern Front is harrowing. Countless men who survived the battle died from hunger and cold. Horror weather example number two is also due to snow and cold. It is shown in the episode “Bastogne” from Band of Brothers. As brutal as the winter in Europe and the Eastern Front was, the constant rain the troops had to face in The Pacific was no less demoralizing. Example number three is the episode number 4 “Cape Gloucester” from The Pacific which takes place just after the battle of Guadalcanal. Humidity and the constant noise of the torrential rain lead to stress and illness. Another really harrowing example was shown in the Australian movie Kokoda. 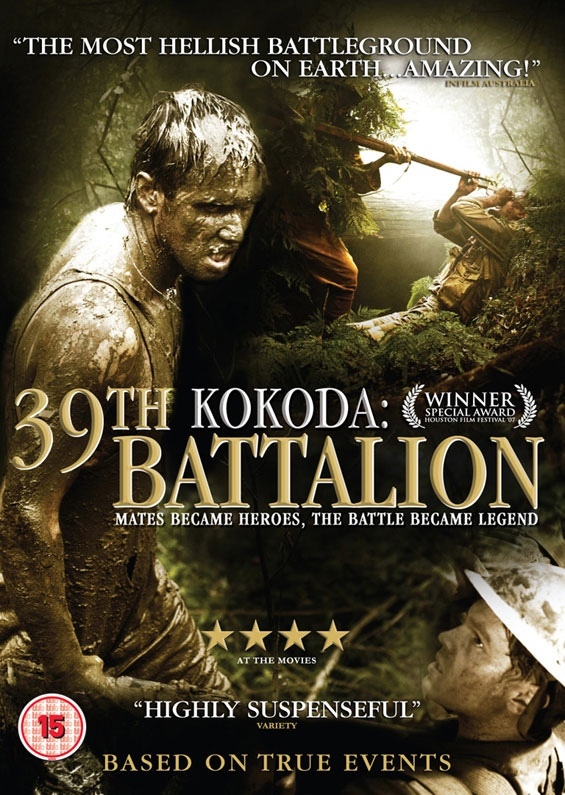 The mud, rain and dirt of the Kokoda trail has to be mentioned among the worst experiences any troops have undergone. I just realized that all these are examples from WWII. Makes it look as if there hadn’t been any terrible weather conditions during other wars but that is of course not the case. I remember a few WWI movies in which the mud and rain played an important role but I’m not able to pick a perfect example. Additionally I would like to add an example in which scorching heat proved to be fatal. 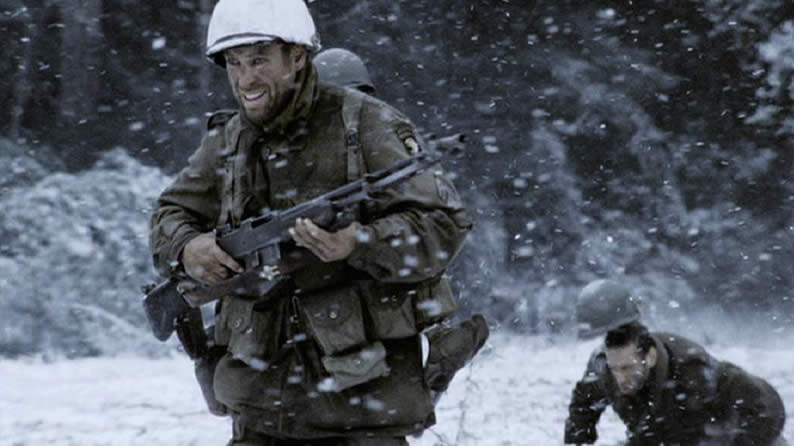 Which is the worst weather you have ever seen in any war movie? 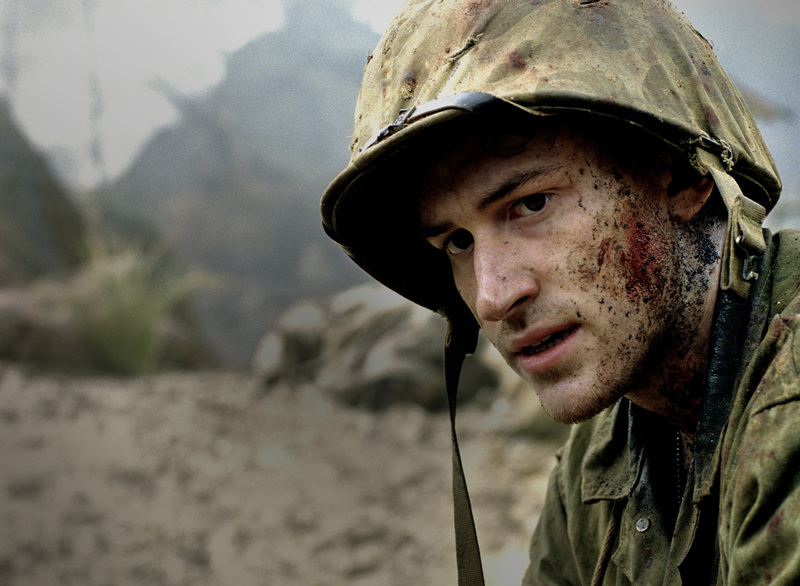 Do Women prefer The Pacific to Band of Brothers? In an interview Dale Dye, a military advisor for many war movies, was asked why The Pacific had many female viewers and here is his explanation for that fact. He also believes that the love story between the two soldiers John Basilone and Lena Riggi made women like it. Aha? So it is only the romance that makes women appreciate The Pacific? Could it not be that it has more to do with the fact that there are simply more women in The Pacific than in Band of Brothers?And that there is a whole psychological dimension in The Pacific, with all its tales of post-traumatic stress, that might appeal to women? I would love some comments. Do women like The Pacific? Do they prefer it to Band of Brothers? Or did they even like both? S ince I saw Stalingrad in which soldiers die in the snow or the episode Bastogne in Band of Brothers I consider the weather to be one of the key elements not only in the actual war but also in transmitting a sense of reality to the audience of war movies. 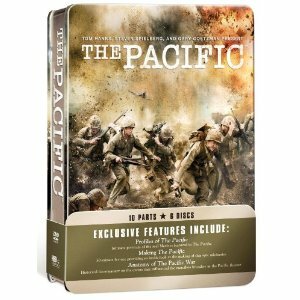 I have only seen five episodes of The Pacific so far. Episode 4 was the first to really grip me. It’s raining and raining endlessly. The morale of the soldiers gets lower and lower. There is no escaping this torrential downpour. Whoever has been in the tropics knows that this is not the kind of rain we Europeans or Americans are used to. There is the humidity, the violence and the noise. Yes, this kind of rain is as noisy as a constant shower open at full blast and as violent. If you are in a solid house maybe you could ignore it but in a hut or a tent…No way. Incredible somehow that after all the heavy fighting the soldiers have been through at Guadalcanal it is the rain that finishes some of them off. With all the natural disasters and extreme weather conditions that have always been taking their toll it is amazing we humans are not more humble. Or is this one of our well-kept secrets that fighting each other and subduing one another helps us fool ourselves into believing we are stronger than we are.